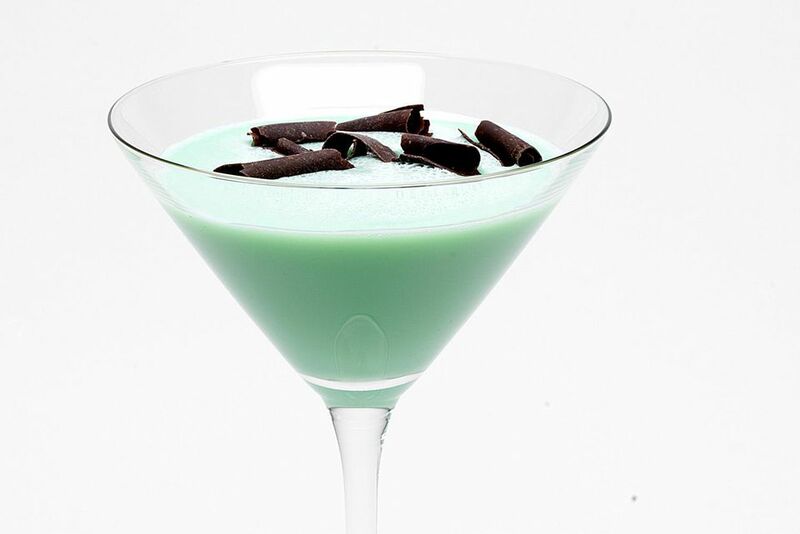 This stunning green cocktail is quite simple, made of RumChata, your favorite chocolate vodka, and green creme de menthe. By using a vodka for the chocolate flavoring, it breaks up the creaminess that is often too overbearing in many dessert martinis that you will find. To make a Shooter, swirl the ingredients in a chilled shot glass and serve.